Paper or Plastic Those are the words often asked when going to the grocery store. Of course, that will depend on where you live. Instead of weighing the pros and cons of both, go reusable! 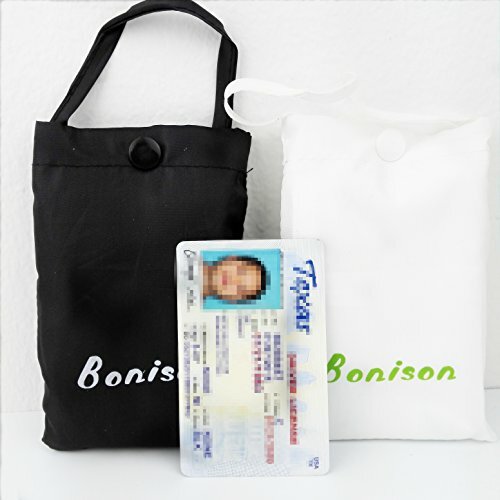 4.With Bonison's reusable shopping grocery tote bags, you can help the environment with an eco-friendly lifestyle. 5.Design With 15 inches of width and 24 inches of length from handle top to bottom, it is a perfect size. Not too large to make it uncomfortable to carry and not too small, picking up one thing or a number of things. 6.Items weighing over 20 lbs can be securely carried. Material Polyester water resistant material offers durability and safety. Don't risk your items falling to the ground with busted bags from holes or rain. Colors the set comes in two colors: white and black. 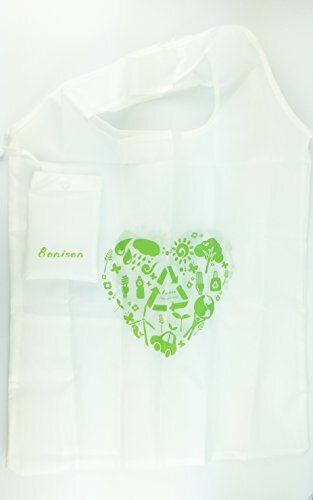 The white has green heart shaped pattern filled with save the environment images. 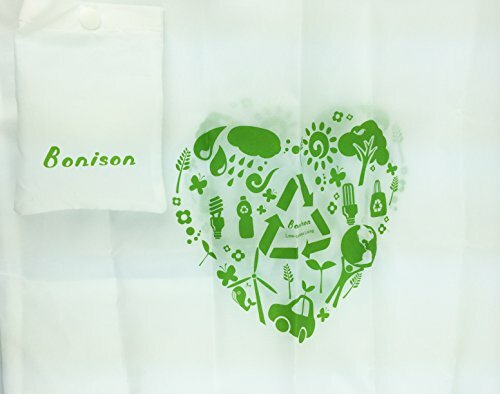 Bonison's logo is centered promoting low-carbon living and recycling. 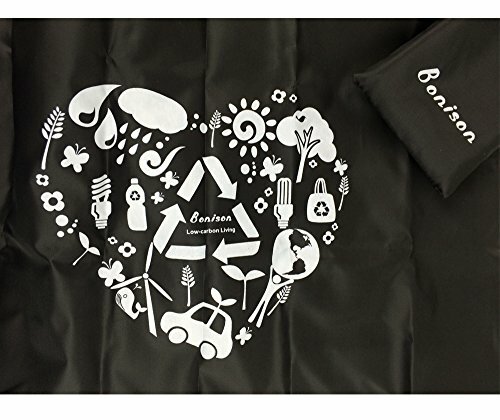 The black comes with light-grey color imprint and eco-friendly images forming a heart. Handles The two handles are centrally positioned to make easier to carry and control. Big shoppers like to have two bags on each arm. This will make it easier to load around and inside the home. It will have that secure one strap feel yet two straps for opening to easily place items inside. GOING GREEN - Environmentally friendly reuseable tote is your perfect shopping solution to avoid paper or plastic. Polyester material offers durability and water resistance. INSIDE - 5" x 6.5" Side Pocket - Enough space for your water bottle or juice to fit. When hanging, the bottle will stand upright. Preventing an accident from a potentially leaking cap. CONVENIENCE & COMFORT - It's medium size is measured 15 in. wide and 24 in. long from handle top to bottom. The strengh and security of two handles opening for over 20 lbs of items to be easily placed with centered closing to make comfortable to carry. 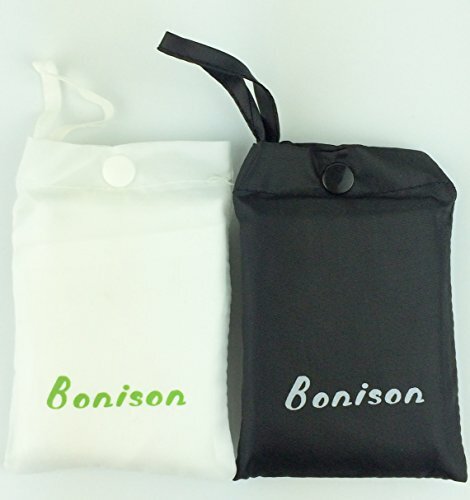 POUCH - 3.5" x 5" Snaped Closure Pouch - When pouch is filled with the foldable bag, it is very small and compact. It can be easily gripped to fit inside your hand. The looped hanging strap allows for ease of carrying. The pouch transforms into a carrying bag for your payment or cellphone. 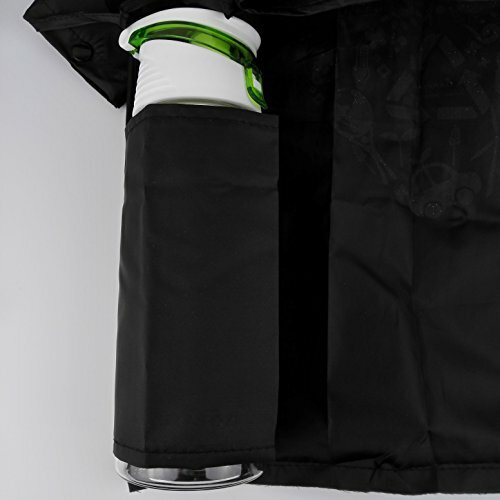 COLORS & PATTERN - Simple black bag with light grey imprint and white bag with lime green imprint. Limited imprint supporting the green initiative. Rather male or female, it is the perfect bag. With the set, a couple can each have one. If you're a big shopper, keep them both for yourself and order more. Give as an add on gift or a stocking stuffer. Buy now!